Do you need to accelerate the performance of your data-intensive applications? HPE Server Read Intensive (RI) Solid State Drives (SSDs) deliver high performance and endurance for applications requiring high random read IOPs performance. HPE (RI) SSDs typically have an endurance of <1 drive writes per day. All HPE SSDs are backed by over 3.35 million hours of testing and qualification ensuring reliable, high performing drives. HPE Digitally Signed Firmware prevents unauthorized access to your data by providing the assurance that drive firmware comes from a trusted source. The self-describing icons on the HPE Smart Carrier take the guesswork out of a drive’s status and a "do not remove" button prevents data loss from human error. Monitor the lifespan of your SSD with HPE SmartSSD Wear Gauge compatibility in management tools. 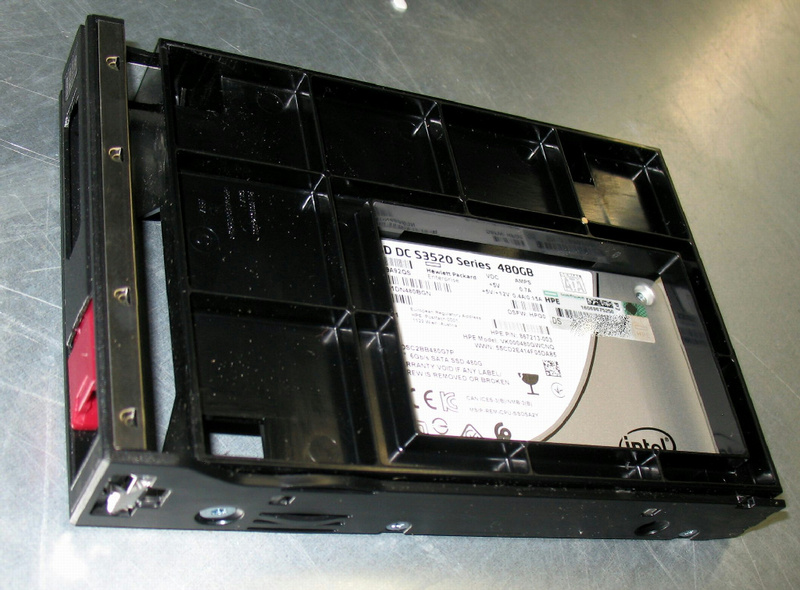 An enduring data storage device utilizing NAND (negative-AND) semiconductor technology to store and access data which is volatile without the aid of an auxiliary power source. Today's businesses are seeing larger, more complex applications, coupled with an increasing amount of mission-critical and transaction processing data demand. In this environment, storage has become a critical component, significantly defining requirements for both systems reliability and performance. This is why HPE drives undergo a rigorous qualification process to ensure functionality and eliminate firmware and O/S incompatibilities. 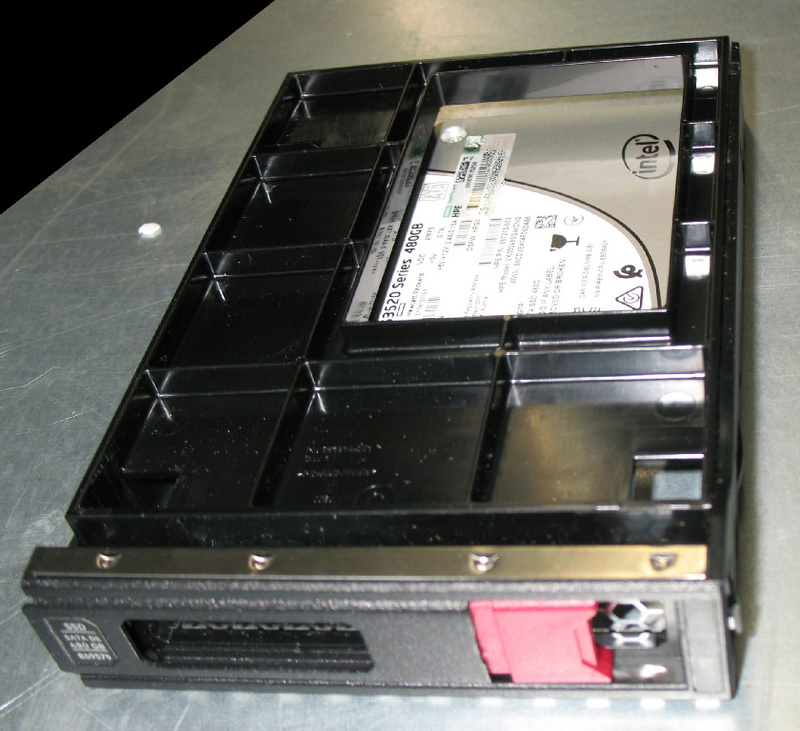 Many issues customers have with third party drives are "simple" integration issues. 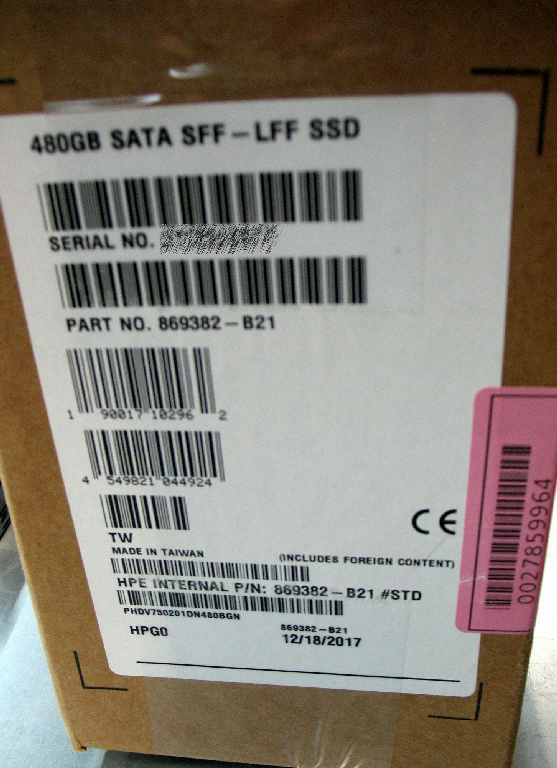 When buying from another supplier, there is no guarantee that a drive has been correctly set for proper operation with ProLiant servers and storage systems. These incompatibilities can create problems in configuration, can rob your system of performance, or at their worst, can cause you to lose data. HPE drives are specifically designed and tested for flawless operation in your HPE equipment. The integration of solid state drives in HPE systems means that associated components are right for your ProLiant server. 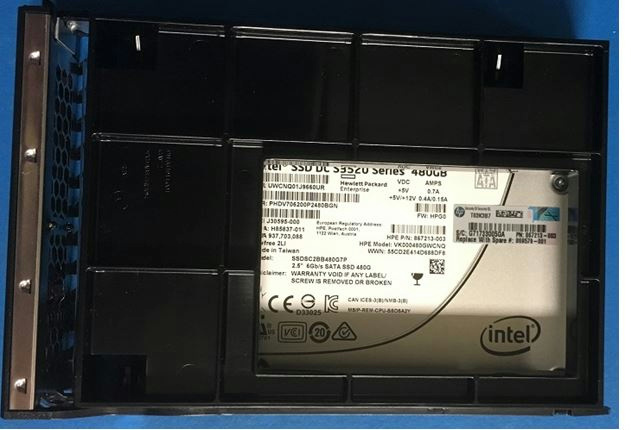 HPE Enterprise SSDs are available in three categories based on workload level: Read Intensive (RI), Mixed Use (MU), and Write Intensive (WI). The categories indicate the number of drive writes per day (DWPD1) that you can expect from the drive. (DWPD is the maximum number of 4K host writes to the entire drive capacity of the SSD per day over a five-year period.